They can be picked up the morning of the first day of your program. You will have a selection of items to choose from at the time of your breakfast. Choose from the following: Breakfast Burrito or Sausage and Egg Bagel or Bacon and Egg English Muffin or Sausage and Egg Biscuit or Toasted Bagel with Cream Cheese. Yogurt, Medium Coffee or Juice. Reviews 5/5 stars based on 15 reviews. I found the food to be good quality and tasty, the people making it were cool, especially under some very busy periods, cost was not a factor, the fact I didn't have to hassle with managing, cooking and cleaning for meals is well worth it. I would highly recommend this option. The food was excellent. Well worth it. I highly recommend this package to anyone doing Rainier. The last thing you want to think about when climbing Mt. Rainier for the first time is how many calories you are taking in, what and how much food to pack, etc. The meal plan has plenty of great food packed and ready when you need it most. 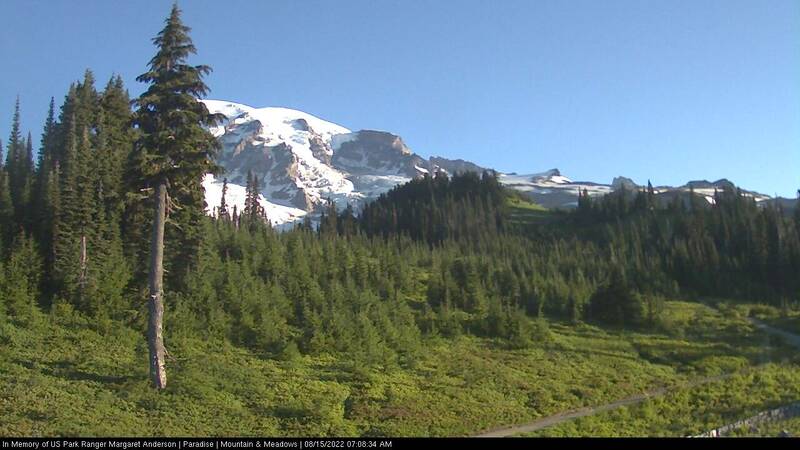 This was a good decision for me, as I was traveling from the east coast to do a Rainier climb - it was great that this was already taken care of. The food was good and the quantity just right. This food package is perfect. I just brought along a few of my favorite carb-protein bars in addition. The convenience offered by this package was substantial. The amount of food was actually pretty over the top. There is no way that a normal person could consume the amount of food they included. I think that I ate maybe half of the stuff by the time I had finished the 4 day climb. The sandwiches, pizza and breakfasts were solid but nothing amazing. The grill food is pretty good, but again nothing amazing. In all seriousness though, all I was really looking for were calories and the food certainly provided what I needed. I could have gotten most of the items I needed from a grocery store for about 1/3 the price but with this package I didn't have to shop myself and didn't have to spent time packaging items to go into my pack. That made the price worth it to me. This was one of the best decisions I made... It would have been tough to figure out my food situation since I was traveling cross country for the climb. The meal plan had great variety and there was MORE than enough food for me for the duration of my trip. The breakfasts at Whittakers were great and the dinners at Base Camp are fantastic! Seriously, best turkey burger I ever had. It was nice to have the food prepared because it gave me time to focus on other aspects of preparation. It was particularly helpful for me because I flew in from out of town and did not have time to locate a supermarket and get appropriate food for the climb. (Ashford, WA is, at most, a tiny hamlet. The general store has very little.) Yes, it costs more than buying it yourself, but it is cheaper if you consider the cost of an extra suitcase on a flight. It was nice to have all the snacks pulled together for me, but a quick trip to the grocery store would have yielded the same for about 1/4 the cost. There was more than enough to eat though, with lots of variety. The food was convenient and plentiful. The variety is good. Overall a bit pricey but it takes the guesswork out especially for first-time climbers.